Left: Lectra’s International Advanced Technology and Conference Center (IATC) in Bordeaux, France, is an innovation hub dedicated to its customers who may experience Lectra’s most recent innovations and perform tests under their own production conditions at the center. Committed to Industry 4.0, Lectra offers customers finely tuned integration between equipment, software and services. 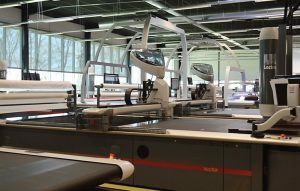 Paris-based Lectra intends to hold its status as a world leader in integrated technology solutions — software, CAD/CAM equipment and associated services — and to that end, has embraced the concept of Industry 4.0, a term first coined by the German government as part of an initiative to enhance the country’s manufacturing competitiveness. In German-speaking areas, this revolution continues to be known as Industry 4.0 although other countries have given their own names to the concept. Figure 1: Illustration of Industry 4.0 showing the four industrial revolutions. Graphic courtesy of Christoph Roser at allaboutlean.com. Industry 4.0 refers to a current manufacturing trend of automation and data exchange, a fourth revolution in manufacturing. It builds on the third industrial revolution in computing and automation (See Figure 1) and includes cyber-physical systems, the Internet of things and cloud computing to create — in Industry 4.0 lingo — smart factories. 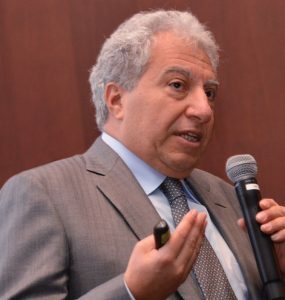 Lectra CEO Daniel Harari said the company decided to embrace Industry 4.0 and invest heavily in research and development several years ago during a time when the company was on the cusp of moving manufacturing to Asia. Harari stated he felt there had to be a way to make manufacturing in France profitable and keep jobs in France, and the company set about rethinking the way forward. During the four-year period from 2013-2016, Lectra invested 86 million euros ($92 million) in research and development, which represents 9.4 percent of the company’s revenues. The company enriched its software offerings and developed leading-edge innovations for its technology. In 2016, Lectra posted record financial results with revenues of 260 million euros ($277 million) — a 10-percent increase over 2015. Income from operations increased 18 percent, and net income was up 14 percent in 2016. So far, Harari feels very happy about the decision to keep manufacturing in France. By deciding to embrace the idea of Industry 4.0 in its infancy, Harari believes Lectra is well positioned to help its customers be successful. The company spent three years gathering data from its more than 3,000 Industry 4.0 compatible machines in operation at some 2,000 production sites plus a further three years analyzing the data. The company has 40 years of experience in electronics; 10-years of experience in the industrial Internet of Things; a strong business expertise and a finely-tuned combination of machines, software and services — all components Harari believes are need to build an effective Industry 4.0 strategy. “To meet these new challenges, our customers can depend on our software and equipment offer, already compatible with Industry 4.0 principles, our deep knowledge of the industrial Internet of Things since 2007, and our team’s expertise in specific industries,” Harari said. “Thanks to these strong fundamentals, we are massively enriching our offer, leveraging the latest technologies and integrating best practices to entrench Lectra’s position as an Industry 4.0 visionary. 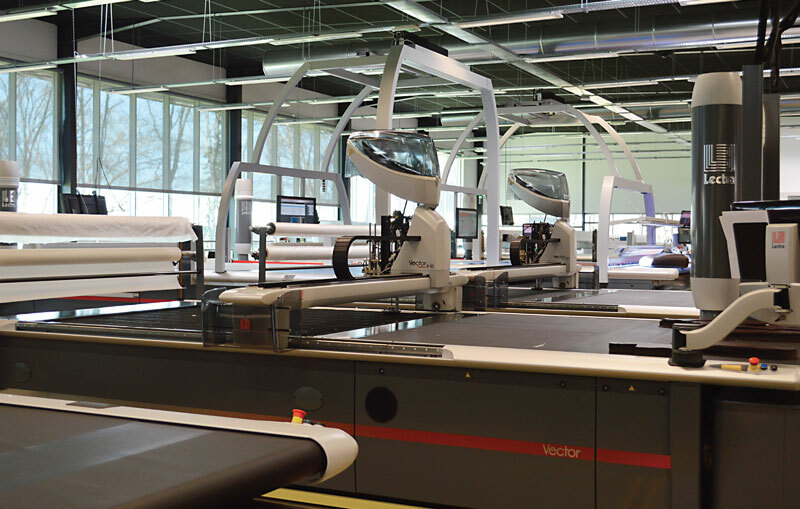 Lectra manufactures three types of cutting machines — the Vector® aimed at the fashion and apparel industries, the FocusQuantum® for airbag manufacturing, and the Versalis® for leather cutting. These technologies are paired with Lectra’s integrated software offerings — Kaledo for design, Modaris pattern cutting software for product development, Diamino for optimized materials use in marker making, and Lectra Fashion PLM (product lifecycle management) — to provide customers with a complete smart factory concept. Lectra’s Vector machine has been connected to the internet since 2007. Today, the machine has 180 sensors that are capable of implementing preventative and predictive maintenance. The sensors have led to a high 98-percent availability rate for the machine, according to Lectra. The Vector machines installed around the globe are set up to communicate in real time with Lectra’s international call centers located in Bordeaux, Shanghai, Atlanta, Milan and Madrid. There, experts can immediately intervene to prevent machine downtime and production disruptions, which translates into cost and time savings for the manufacturer. 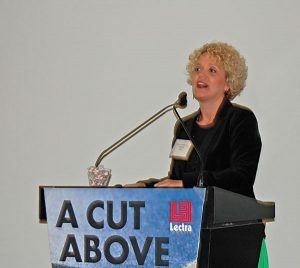 “As we step into Industry 4.0, full integration between machines, software and services will translate into greater access to data in real time, which in turn will increase Lectra’s ability to provide greater insights from all points of production, from concept to design, sourcing, production and manufacturing to the final product,” said Daniella Ambrogi, vice president, marketing. Lectra has put together a roadmap for the next three years, which will drive the company’s development over the next decade. To develop a long-term vision for the company and create this roadmap, Lectra studied the market and identified four major trends: millennials, who will transform the global economy; the digitalization of business, which will force companies to reinvent themselves; the emergence of industry 4.0; and China’s evolving economy anchored in consumption, added-value and productivity. To continue the company’s profitability and generate a high level of cash flow in order to self-finance internal and external developments. To push forward the Industry 4.0 concept, Lectra plans to progressively roll out its first SaaS and cloud services to customers beginning in 2018 to optimize customers’ cutting room performance for each type of manufacturing and material. Lectra will continue to invest heavily in technology with 10-percent of annual revenues earmarked for R&D over the next three years. Lectra recently held a seminar at its Atlanta facility titled, “A Cut Above: Achieve Excellence in the Cutting Room and Beyond.” The event featured presentations and a discussion with industry veterans to address current issues facing the apparel industry. Mike Todaro (far right), managing director, Americas Apparel Producers’ Network moderated a round table discussion focused on “Apparel Industry Challenges and Success,” which featured (left to right) Dave Gardner, managing director, SPESA; Sandy Mendez, operations director, Arush; Virgilio Esteves, production manager, Wacoal Corp.; and Isaac Gershevich, plant manager, Wacoal.